Samsung Galaxy A8s and Huawei Nova 4 are among the first smartphone to adopt a new design for the camera. Something that would have been inconceivable one or two years ago has just happened recently with the unveiling of the two phones mentioned which have their cameras included directly in the display. The “hole in display” design choice started as a concept, but little did we knew that some companies are really serious about adopting the standard. Now, more and more smartphone makers are readying products that will either integrate the selfie camera in the display or use a pop-up camera instead. Asus is one of the companies that has recently filed two patents that confirm its plans to adopt both camera designs. 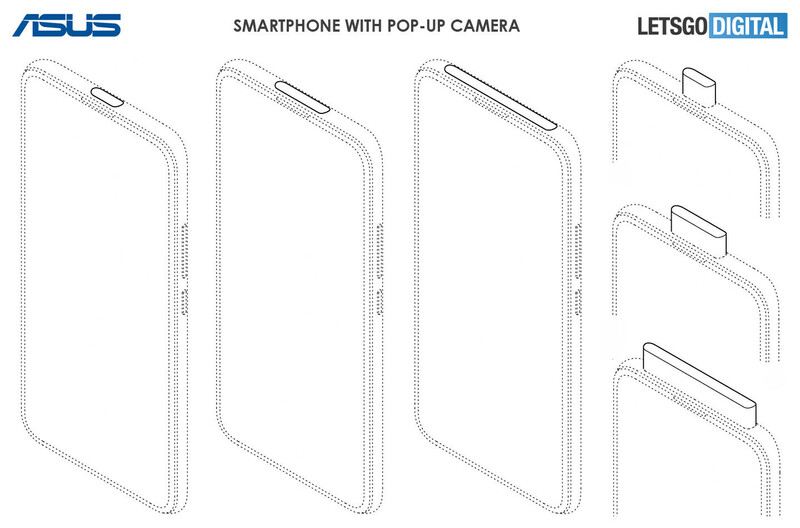 Spotted by LetsGoDigital, the patents show three versions of an Asus smartphone with bezel-less display and pop-up cameras of different sizes. Although the largest pop-up shown in one of the patents may leave room for other components, not just the selfie camera, the speaker is still integrated into the upper bezel. 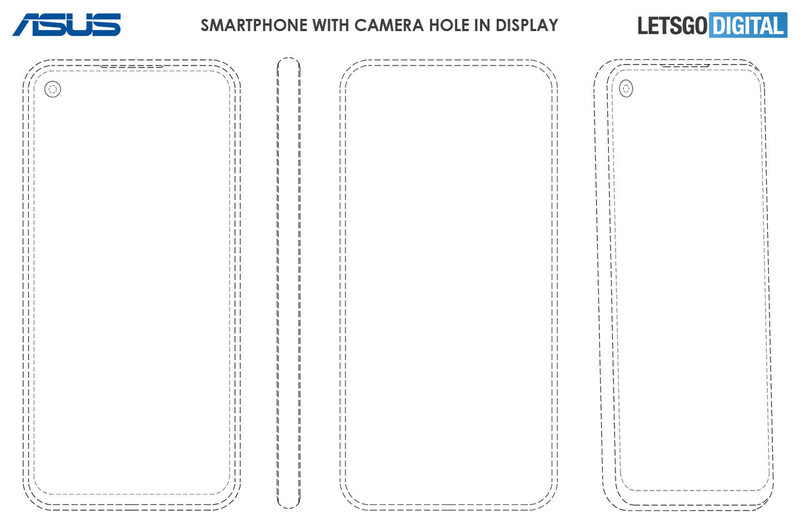 The second design patent filed with EUIPO shows an Asus smartphone with a camera hole in the top left side of the display. It's exactly the same hole-punch design adopted by the Samsung Galaxy A8s and Huawei Nova 4. Although Asus said recently that it will focus on bringing to market gaming phones, these camera design choices may fit well with the company's new strategy. 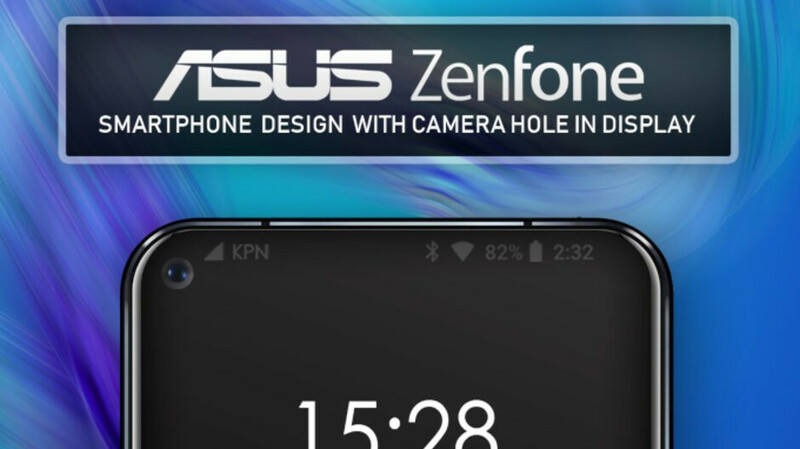 However, the next high-end Asus smartphones may not be announced until February or March 2019. Good to see more brand move away from notch. This patent is same style Elephone U2/Pro. Phone manufacturers do not have to do anything for these hole designs. All the hard stuff is done by the display manufacturers. I like the pop up cameras but, how long will they last tell they are wore out and the mechanism stops working. To a degree I share your line of thinking sissy. It'll definitely be up the engineers to make a long lasting mechanical design work inside a phone. Anything but the hole in display. I'd hate for that trend to pick up. It's more trouble than it is a solution imo.